We open with Man Ok leaving and noticing there is no light on in Kang Hwi’s part of the house. He can’t still be at the playground can he? She quickly rushes off while Fake Idol and bar worker take the drunk and drugged Kang Hwi out to Stalker’s car. When Man Ok gets to the playground she sees a bent over man, but it’s not Kang Hwi but a drunk middle-aged ahjussi. She looks around and calls out to him, but no answer. The next day Kang Hwi awakes in a hotel room wearing only a robe and his boxers. He has no idea where he is and has a killer headache to boot. Just what happened yesterday. He quickly gets his phone, turns it on and calls Go Dong. In the car ride, Go Dong wonders how Kang Hwi ended up at such a sleazy hotel. Kang Hwi has no idea either. Just how much did he drink to completely black out? And was he with a girl Go Dong doesn’t know about? Kang Hwi immediately says no. Doesn’t Go Dong know him? He would never do anything like that in such a seedy place. Kang Hwi then sniffs himself and wishes to hurry home and bath. He begins chanting, “sauna, sauna,” but Go Dong says he can’t go home since Tae Ik already headed out to the studio and swore he’d let Kang Hwi have it if he was late. LOL. At the office, Fake Idol shows Joon the blackmail pictures and Joon stealthily takes out a mini-recorder and starts taping the conversation. He smiles brightly. What does Fake Idol want? Nothing much, just that CF that he and Kang Hwi were arguing about in the bathroom last time. Wow. This guy thinks…tiny. Joon laughs Fake Idol did all this for a CF? Kang Hwi in a seedy motel room with a MALE partner? Do you think people will really believe this of Hallyu star Kang Hwi? Well…thanks to that kiss in China? You never know. 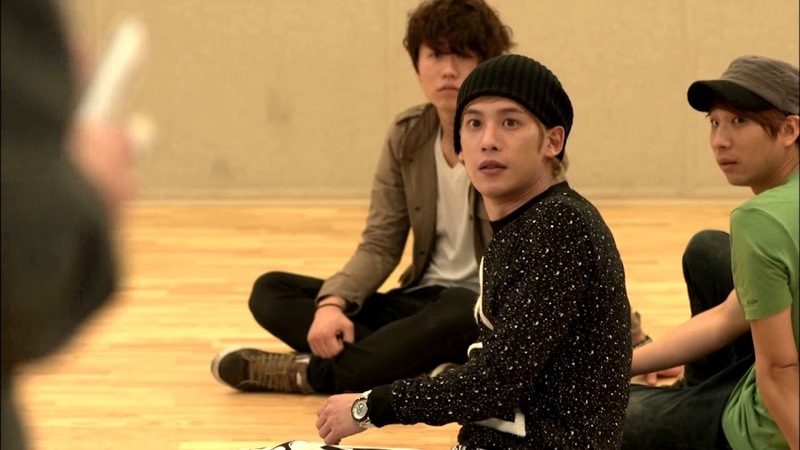 Fake Idol sits up and says that Kang Hwi wasn’t always a Hallyu star. Joon keeps his smile. It’s obvious the pictures are all fake. Fake Idol grins and says they aren’t as he was there himself. Joon then shows he’s much smarter than given credit for. Manager Kang from Playground (the bar—I guess Man Ok mistook it for a REAL playground) says that Fake Idol went out with Kang Hwi. Fake Idol then says it doesn’t matter as the photos will still hurt Kang Hwi. Doesn’t Joon know he’s close to Reporter Choi. Jae Hee…no…Jong Chul (LOL, idols real names are so un-idol-like) don’t you remember who introduced you to reporter Choi? Joon then pulls out the recorder and plays it back. Fake Idol Jae Hee should have chosen a better opponent. Leave the originals and get out. 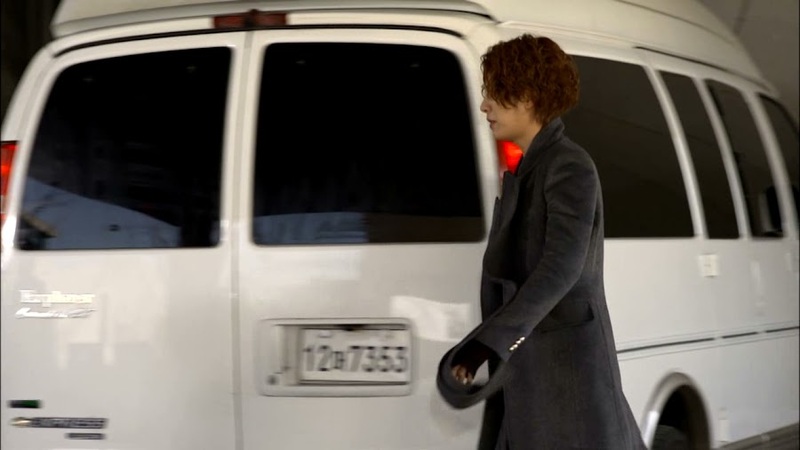 Kang Hwi arrives at the studio to see Jae Hee driving off. Why is that guy here? Tae Ik then arrives in a van. Now his partner sleeps out at night? 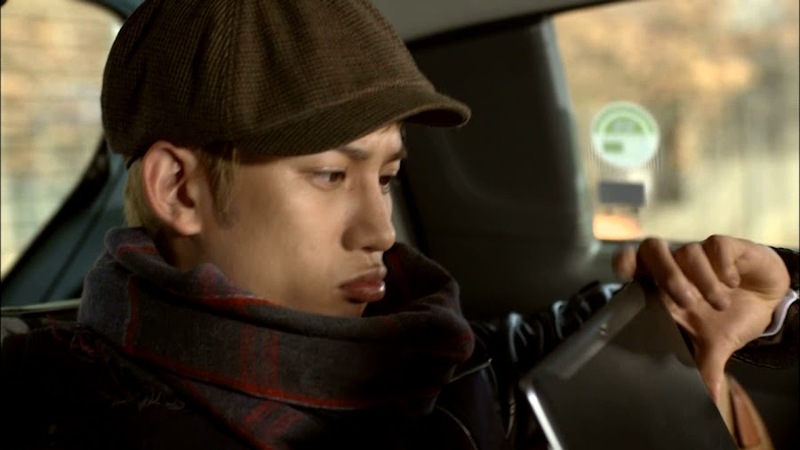 Kang Hwi curls his lip and asks if the boys are all there since he detests waiting. He walks off and Tae Ik glares and curls his own lip and Go Dong. Poor Go Dong—always caught in the middle of their love skirmishes. They get to the practice room and Kang Hwi says the guys must be there. Only the guys come up behind them. So who’s in the practice room? Man Ok!!!! She’s dancing to their song. LOL. 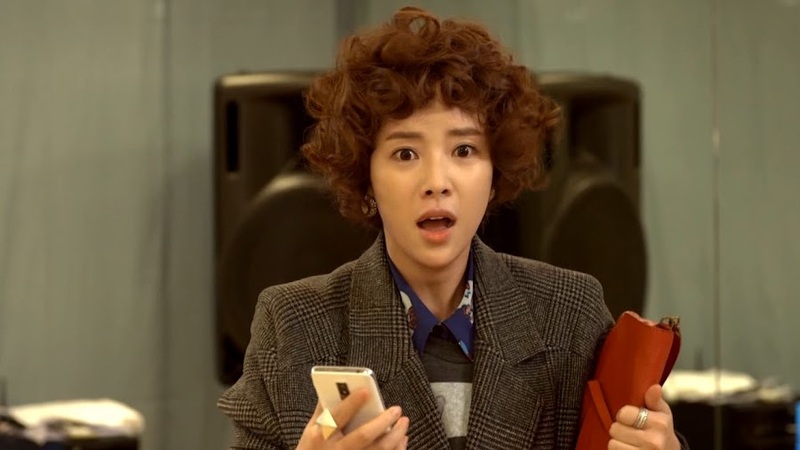 Hwang Jung Eum is showing her former girl-group glory. Not that I actually ever listened to Sugar or watched them perform. Man Ok is mixing their dance moves with hapkido moves when they come in. Kang Hwi happily greets her and says that was cool while Tae Ik scolds her for using the practice room at random without permission. Kang Hwi tells her to continue as it was cool and Tae Ik turns to him and asks if he isn’t going to practice. Man Ok says she understands and quickly rushes out. Kang Hwi then follows her out. Where’s he going? To the toilet. Right. He goes to Man Ok and wonders why she didn’t come. Man Ok said something came up, but she did go to the playground at 11, but he was nowhere in sight. That’s strange. He was still in Playground (the bar) at that time. Weird. Man Ok waited until midnight just in case. Where? On the swings in the playground. The Playground has swings? LOL. These two don’t even realize they aren’t on the same page. So cute. Enter Tae Ik. Wasn’t Kang Hwi going to the potty? He was just doing so. Kang Hwi then pats Man Ok’s arm and says they should eat together later. Man Ok happily smiles and agrees. Let’s start with Tae Ik’s childishness now that Kang Hwi is gone. Man Ok looks over and catches his glare. What? Where did she go last night? Didn’t she know she neglected a person in pain? Omo. Awww, Tae Ik-ssi always cracks me up. Man Ok cannot believe he said she neglected him. She only left after he he fell asleep. Tae Ik holds up his hand to silence her and then forces a cough. If he catches a cold, it’s all her fault. 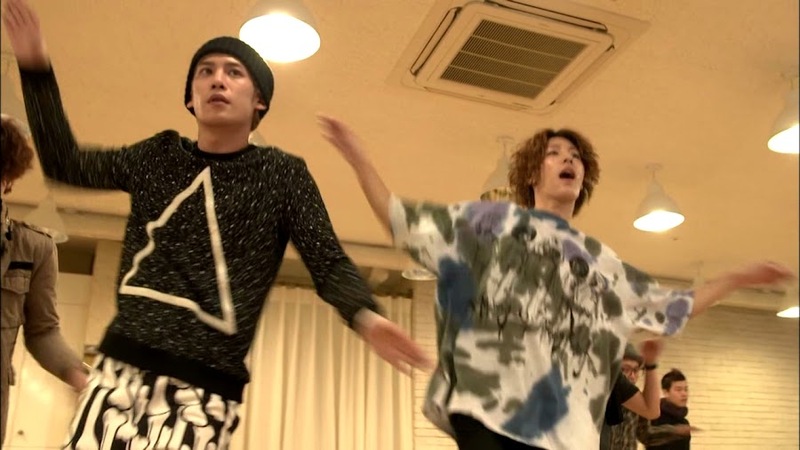 He goes back to the practice room and Man Ok is still amazed. She even poked his finger for him. He’s a big child. She then recalls she left her bag in the practice room. The boys are hard at work. 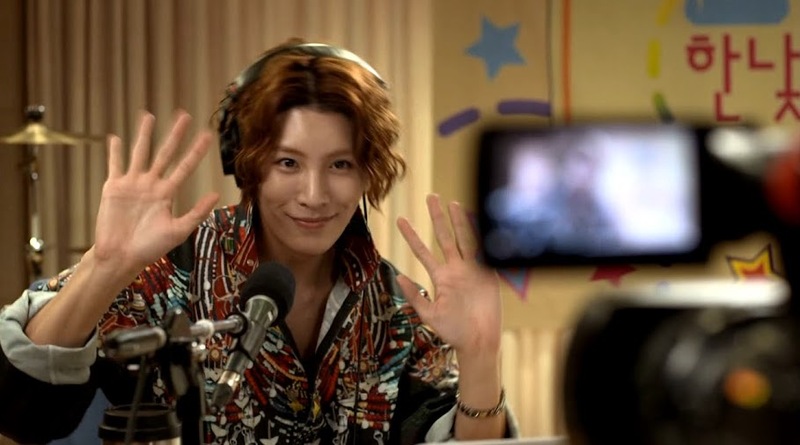 Won’t lie, Noh Min Woo is slightly better at dancing then Park Ki Woong. At least he seems more natural. Practice ends for a brief break and Man Ok quickly rushes in to get her bag. Her phone rings and she looks at it in horror. She starts screaming for everyone to be quiet and they look at her like she’s nuts. It’s her grandpa. she tells him that she’s of course having class. She then starts shouting at them to yell. One, two. 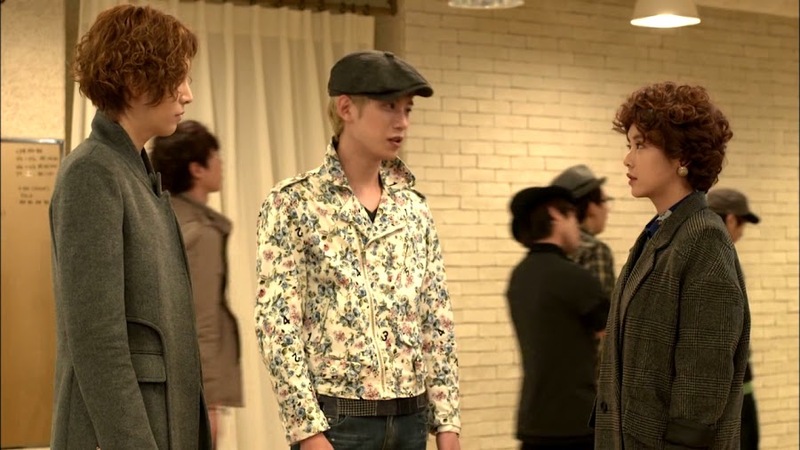 Kang Hwi and the others look around in confusion and Man Ok shoots him a desperate look. He finally gets it and starts yelling and encourages the others to follow suit. They quickly do so and start to get into it. 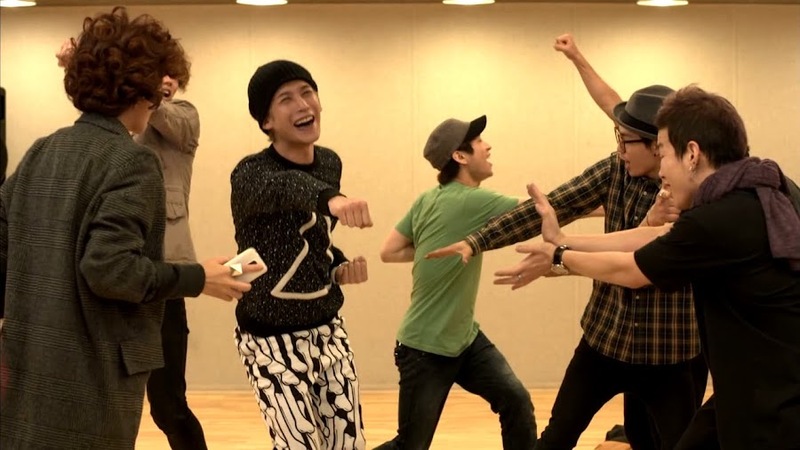 They are all having fun doing fake moves and shouting. Kang Hwi even poses cutely. LOL. Of course, Tae Ik watches in complete disgust. It’s beneath him, you know. In the van, Kang Hwi gushes about how much fun that was. It’s a good thing grandpa’s phone isn’t a video phone. Man Ok says it is, but she feels bad hiding the truth from her grandfather. Kang Hwi thinks that is best for the time being and Tae Ik kind of glares at him for that. Kang Hwi then says he has a bad personality. Why couldn’t he play along? Tae Ik turns his head to the front and says he can’t lie. Kang Hwi then turns and asks what they should eat. Rib patties? Tae Ik starts pounding his chest a little and casts looks back at Man Ok. No. Sushi? No. Crab? More looks from Tae Ik. Man Ok turns down that as well. Go Dong then breaks in with pizza. Kang Hwi and Man Ok quickly agree to this. Where to go? Marco’s is suggested but Tae Ik vetoes that idea. Don’t they know how expensive that place is (got to love how money becomes a totally different story when he’s NOT spoiling Man Ok)? The usual place is fine. Kang Hwi whines about there being no room to sit and eat at their usual place. Tae Ik doesn’t care. If they take it to go, they get a 30% discount. Kang Hwi asks if he’s being stingy and Tae Ik says it’s because he loves their pizza. Go Dong and Man Ok are in charge of ordering the pizza. Go Dong asks for lots of extras (toppings-wise). When Man Ok looks at him, he smiles sheepishly and says they are regulars. LOL. 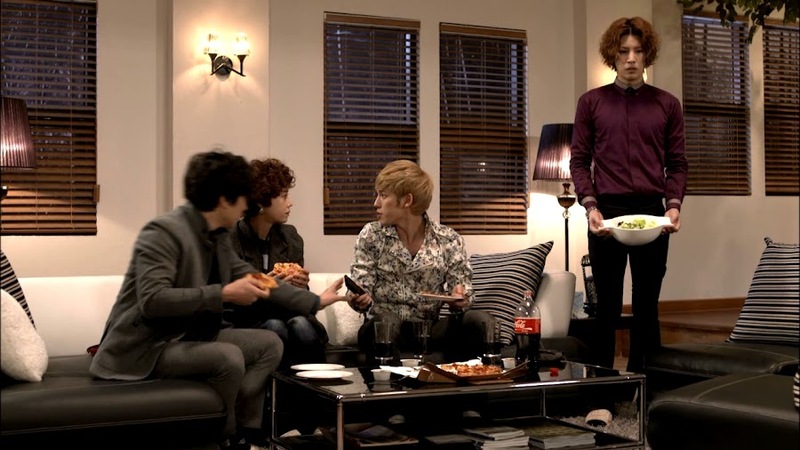 The food gets taken back to the house and Kang Hwi again complains about going all the way out there just to get pizza. He swears the embarrassed Go Dong to secrecy. Man Ok then defends Tae Ik. There’s nothing wrong with saving money. She then calls to him and tells him the pizza will get cold. Tae Ik is in the kitchen chopping veggies. He’s almost done. Go Dong then calls and tells him to hurry otherwise the food will be gone. Tae Ik pauses. You leave his alone. Yes, don’t argue with a man holding a kitchen knife. Go Dong turns on the TV and Jin Se Ryeong is on TV. Kang Hwi chokes and looks uncomfortable. Enter Tae Ik. Kang Hwi quickly turns off the TV. I guess Go Dong doesn’t know abut the twisted past of the three. Go Dong then turns the TV back on in time to hear Se Ryeong say the place that made her will be her next destination. Tae Ik sets the salad down and just leaves. Kang Hwi angrily turns off the television and Go Dong looks at Man Ok. What’s wrong? She shrugs. Again, you can tell that Kang Hwi does care for his buddy. Tae Ik goes to his room where he opens a picture frame. Inside is a picture of him, Se Ryeong, and Kang Hwi lying together. Tae Ik sleeps while Se Ryeong and Kang Hwi get up an go outside. Tae Ik wakes and follows and sees Se Ryeong kissing Kang Hwi (looks like it was a surprise attack on her part). The thing that I hate most in drama kiss scenes is that her eyes on are Tae Ik’s while she’s doing this. Nappeun yoeja. At this time we get an acoustic version of Take One’s current song. It’s pretty. I love acoustic versions. We then cut to Tae Ik in the sauna looking all glistening and depressed. Joon meets with the chairman who asks if the kids are giving him trouble. Nope. Chairman tells him to be careful as they are moving forward with some plan and can’t have their image tarnished. Oh, by the way, how’s it going with that kid the chairman mentioned? “That kid” is Jin Se Ryeong. Joon isn’t happy with the demands she made. Se Ryeong says she only told him what she wanted as he asked. She wants no interference with her personal life. Why? Is Joon calculating which is more profitable? He looks very unhappy. He says he has to go and will call her later. Se Ryeong reminds him she won’t wait long since many people want her. Wow. She’s so full of herself. 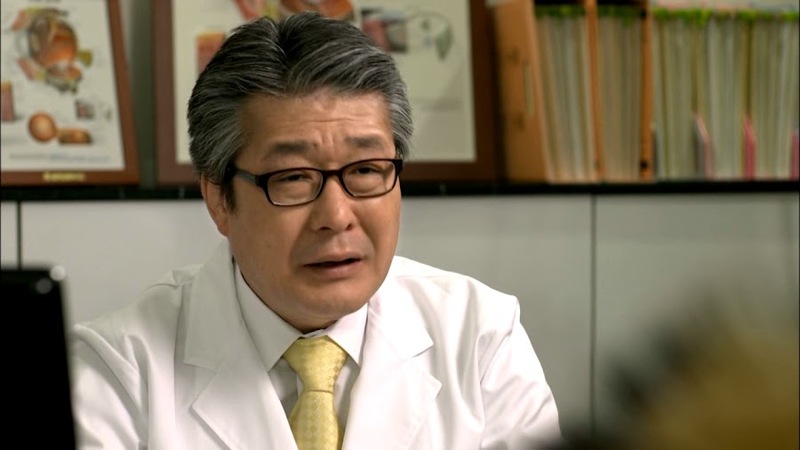 Joon’s secretary comes in with Dr. Cho’s results from Kang Hwi’s tests. Joon’s eyes get wide and we cut to him talking with the doctor. Cho confirms that Kang Hwi is going blind in that eye. Joon asks what the treatment is. There is none as this deals with the optical nerve. Cho says Kang Hwi’s condition is worsening fast due to his stress and work. 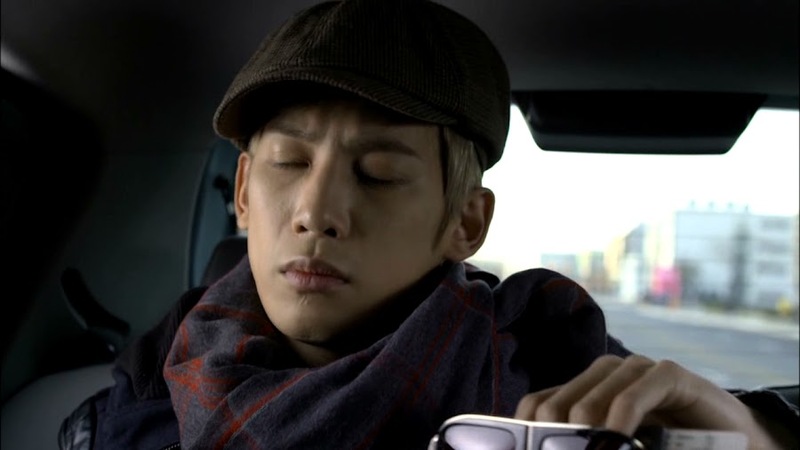 Joon sits with his eyes closed in his car. All the recent events play out in his head. Looks like the poor man is under a lot of stress, too. He opens his eyes and makes a call. He wants a plane ticket for the quickest flight out of Korea. At the office, Joon’s secretary tells him the ticket is ready. He asks her to get a hold of Kang Hwi immediately. She tells him he’s practicing right now. Joon then rushes off where he finds Kang Hwi practicing Man Ok’s version of the dance. 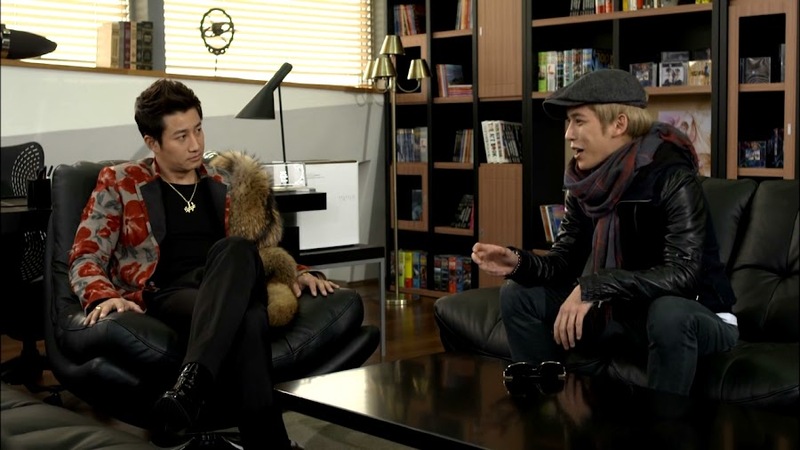 Joon then has Kang Hwi change and go to his office. Kang Hwi talks about how he could make it big as a choreographer. Joon says nothing and just slaps a passport and envelope in front of Kang Hwi telling him that he’s leaving to rest for a few days. Kang Hwi looks in the envelope and finds the pictures. What are these? Joon angrily says that’s what he wants to know. Kang Hwi looks at all of the pictures and says he would never do anything with a greasy guy. Joon says he knows this. Kang Hwi then notices the room in the pictures is the same room he woke up in. 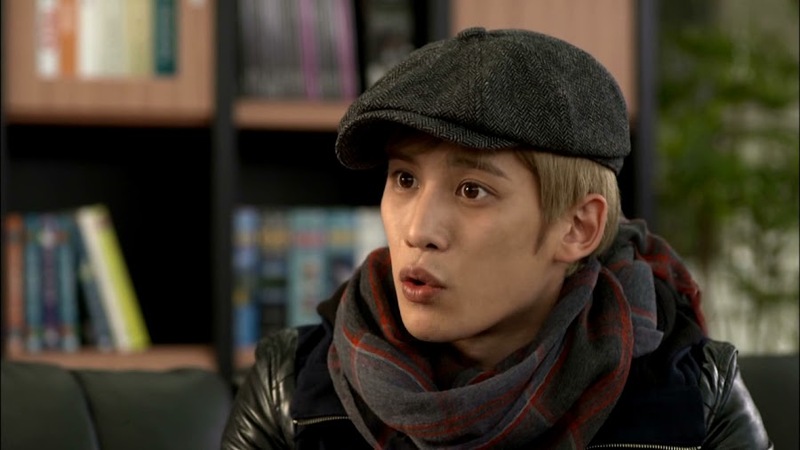 Joon asks him how he knows the setting and Kang Hwi quickly asserts he doesn’t. Just what is going on? Kang Hwi then confesses he can’t remember since he blacked out. Joon immediately yells that is why he always told the kids to be careful as eyes are everywhere. Kang Hwi demands to know who took the pictures and Joon tells him the matters has been handled—this time. The problem is they don’t know if/when more of such pictures will circulate. That can’t happen as Kang Hwi will lose all of his precious female fans. Joon then tells him to leave and rest while Joon takes care of things. What about Kang Hwi’s schedule? Joon says that they will incur a major loss by pursuing small profit if they can’t get the situation under control. He tells him to go once more. Go Dong is already waiting downstairs. Kang Hwi takes his passport and plane ticket and leaves. 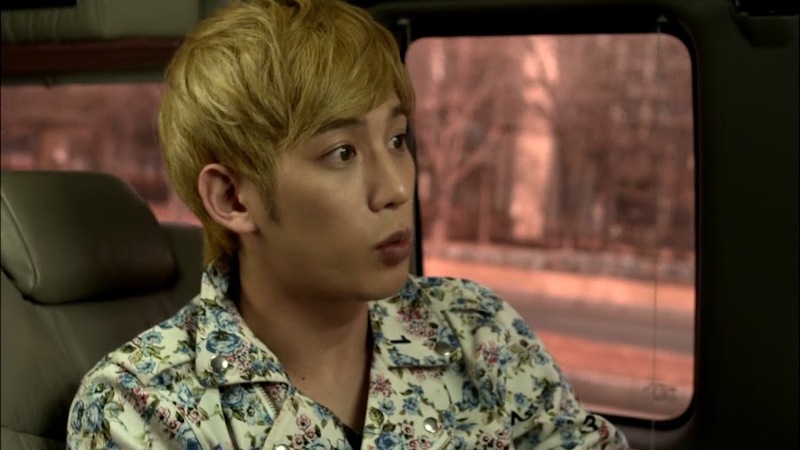 He looks around for Go Dong who is in a car that Kang Hwi hates since it’s their low profile car. They need to do something about not being followed. Kang Hwi gets in the car and Go Dong tells him to check what he’s packed. Kang Hwi says he won’t since he’ll just buy what he needs if Go Dong forgot something. Go Dong wishes to know what happened, but Kang Hwi is keeping tightlipped. Good idea. He tries calling Man Ok, but her phone is turned off. Go Dong says she went with Tae Ik for a radio schedule. Why would a stylist need to be present for that? Visible radio, you know? Last time Tae Ik went in his own clothes and over 50,000 malicious comments got posted. Yeesh. Some people have too much time on their hands. We cut to the radio scene where Tae Ik is with Lee Jung (singer and actor). He compliments Tae Ik on his current style and this makes both Man Ok and Tae Ik happy. LOL. Man Ok waves back at Tae Ik when he’s told to wave to the viewers watching online. She’s such a kid at heart, too. She really seems to love his incredible drum performance. 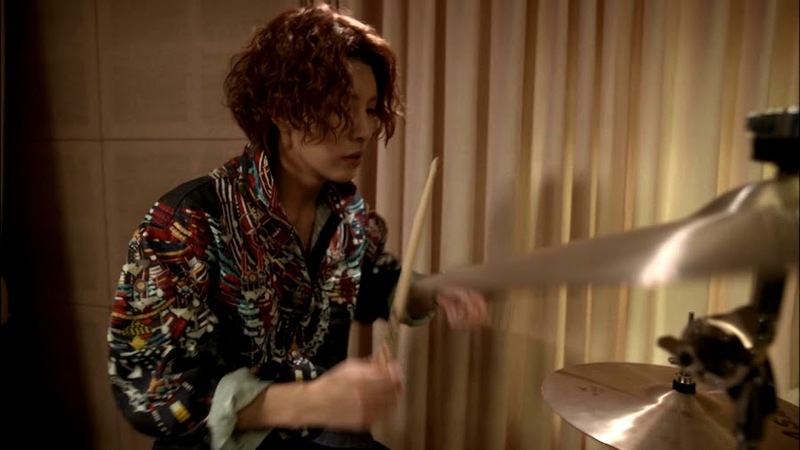 Noh Min Woo’s drumming skills rock and you can tell he’s so into it. Does make you wonder why he gave up music for awhile to pursue more of an acting career? I did like his one interview where they talked about his days in the Korean band under SM Entertainment (he had long blond hair then…The Trax were produced by one of the creators of the visual kei scene Toshiki of X-Japan. Visual kei and Korea…just didn’t do as well) and Min Woo said that person was a part o who he was and he doesn’t regret that. Good for him. Kang Hwi is watching the radio program. HIs partner is great. When did Tae Ik learn to play the drums? He seems even more unhappy when he sees the comments about Tae Ik’s good fashion. They arrive at the airport and Go Dong is a crybaby. It’s the first time Kang Hwi is leaving by himself. Go Dong then hugs him and Kang Hwi states its not like he’s immigrating. Go Dong waves him off at the gate when he gets a call from Joon to confirm that Kang Hwi safely boarded the plane. Once Joon gets the confirmation, he tells his secretary to start implementing the plan. Meanwhile our newly formed stalkarazzi is surging the internet for any news possible about Take One they can use tot heir advantage. Nora and Ga Ryeong start screaming as the pictures of Kang Hwi in bed with a man surface. Just WHAT is Joon doing? Kang Hwi is at the airport and is unhappy that he can’t get in touch with Man Ok to say goodbye. An announcement then comes on saying his flight was delayed due to plane issues. He goes back to his tablet and overhears people talking about him. He quickly hides his face and leaves the area. Man Ok and Tae Ik are leaving the program and Man Ok is nothing but praise. She is very happy that his style was complimented and Tae Ik has to compliment the model. LOL. Man Ok then asks when he learnt the drums because he was awesome! Then two girls pass by and talk about Kang Hwi’s photo. The two catch this and also the fact they said Kang Hwi is gay. What the heck. The two then pass by a television where Joon is having a press conference about the issue. Joon announces that Kang Hwi will be thrown out of Take One. Don’t tell me this is Se Ryeong’s condition? 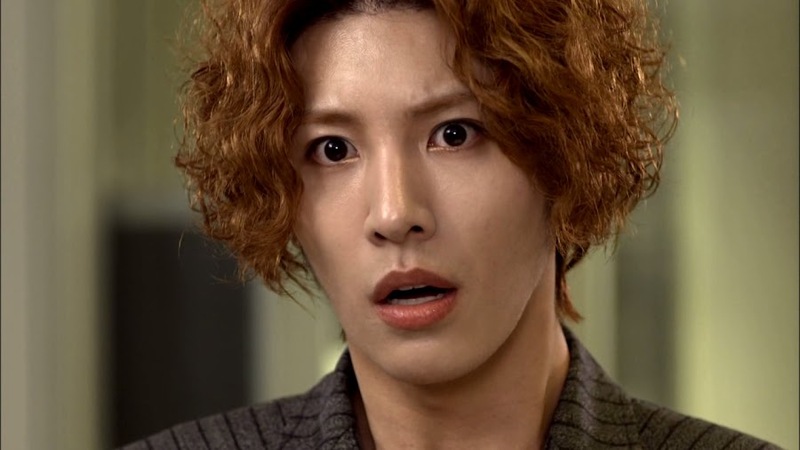 Kang Hwi, Tae Ik, and Man Ok are in utter shock when they hear this news. And that’s where this episode ends. Omo. Can’t wait for tomorrow. The previews…the previews look totally awesome. Since Se Ryeong had conditions to joining U Entertainment, I have a niggling suspicion that she might have wanted Kang Hwi kicked out. But the question is why? WHY? Joon, Joon, Joon. Just when I think he might be okay, he pulls such a stunt. The waters of the entertainment world are just evil and treacherous. 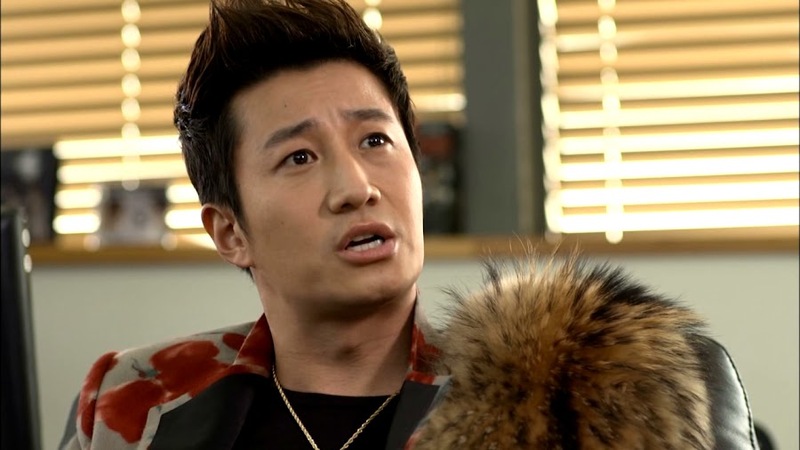 Poor Kang Hwi, between his bad eye and bad choice in friends/business partners he is in a whole lot of trouble! I love how he defended the accusation of a sexual encounter. Did he say “I’m not gay!” no he said “Not with such a greasy guy”! Does that mean if the guy were less greasy it might be possible? I joke. Kang Hwi seems too vulnerable and innocent to be swimming in the dangerous waters of the entertainment world. (reread your recap and I stole your imagery!) He needs a protector. 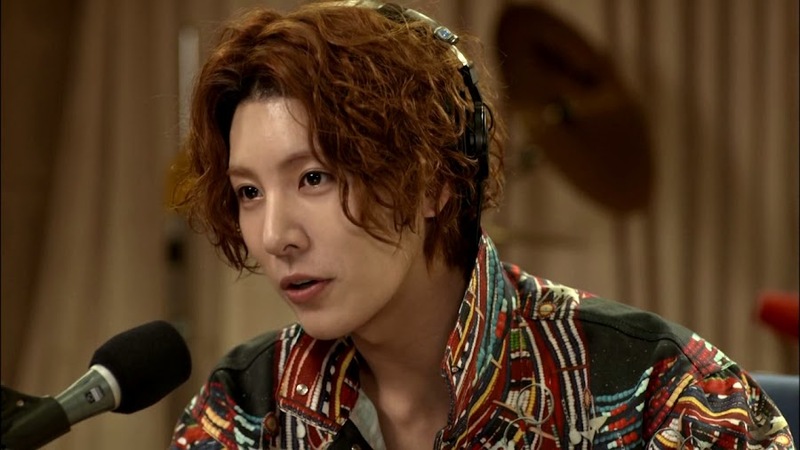 With regard to Tae ik dancing better then Kang Hwi; I read somewhere that the actor that plays Kang Hwi injured his ankle during the filming and could not practice as much as No Min Woo. 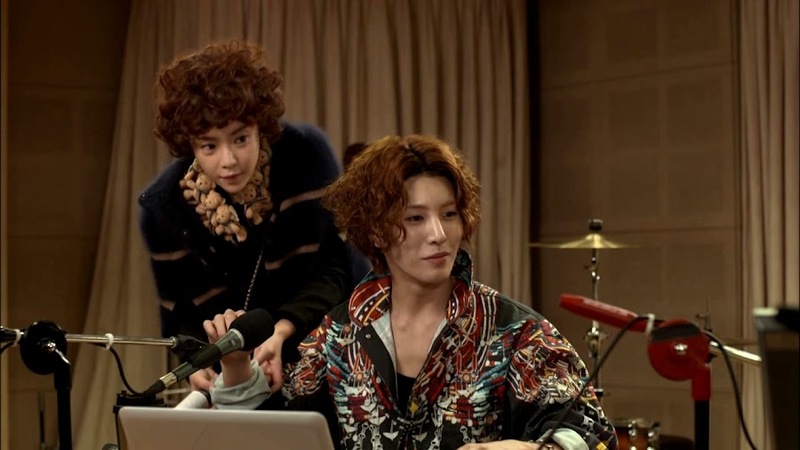 No Min Woo playing the drums, that was so great to see! He is multi-talented, not just a pretty face but he can act and play drums as well. I am fully invested in these characters. THANK YOU FOR YOUR RECAPS!! Oh, and we already know this but, Joon is a giant prick. Did he say “I’m not gay!” no he said “Not with such a greasy guy”! Does that mean if the guy were less greasy it might be possible? LOL, Kang Hwi-nim has standards, darn it. It’s okay if it’s Tae Ik, but not if it’s some greasy dude 😉 Ah yes, poor boy. He needs a keeper as his judgment isn’t the best. And is even worse under the influence. Tae Ik has a bit more of an edge for navigating the shark-infested waters. Although, given both boys’ rough childhoods, you’d think they’d both be okay with dealing with all the grief thrown at a person in the business. That’s right. I forgot about PKW’s injury. Despite hurting his ankle, he went ahead with practice and filming all those scenes. I melt every time NMW plays the drums. He’s a drum god. I guess I have a thing for drummers 😛 Well, actually, I have a thing for people who play instruments well. 😉 I don’t discriminate based on the kind of instrument. Me, too. Totally invested. 100%. These characters and these episodes make my week a happier one. I want there to be more to Joon’s character than him being a giant prick. 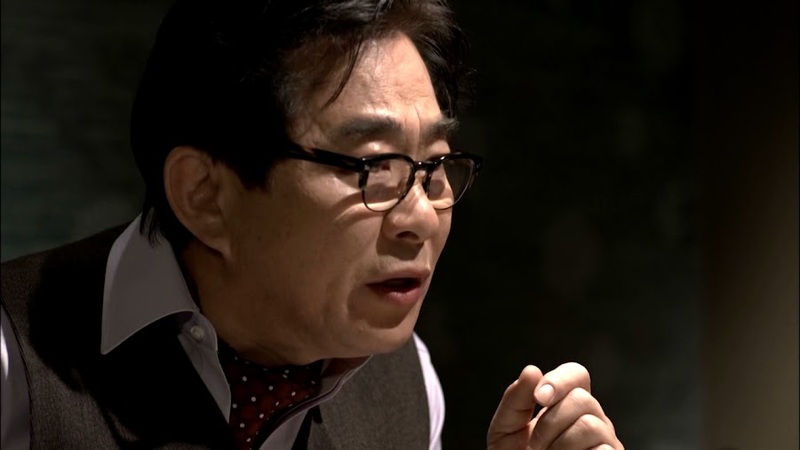 I blame the fact that he’s played by Lee Hoon whom I fell in love with thanks to May Queen and am used to being the hard, stern, yet fair and loveable prosecutor uncle. You’re welcome. I’m glad that you are.